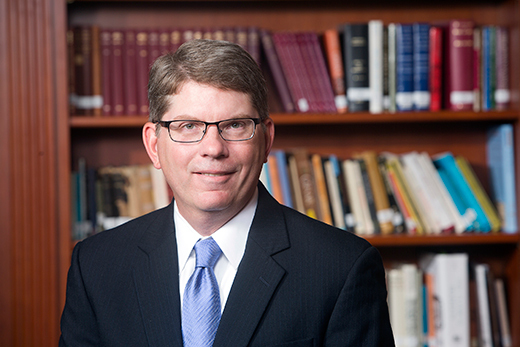 Emory University Provost and Executive Vice President for Academic Affairs Claire E. Sterk announced today that Douglas A. Hicks has been appointed dean of Oxford College of Emory University. Hicks will assume his new role on July 15, 2016. He comes to Emory from Colgate University, where he has served as provost and dean of the faculty and currently is senior adviser for academic initiatives and professor of religion. Oxford College is located on Emory's original 1836 campus in Oxford, Georgia. With an emphasis on a residential, liberal arts experience, it offers a distinctive, small-campus setting that allows first- and second-year college students to grow and thrive both academically and personally. The majority of these students continue their Emory undergraduate experience at Emory College of Arts and Sciences, Goizueta Business School, or the Nell Hodgson Woodruff School of Nursing at Emory. "Doug brings a distinguished career of teaching, collaborative leadership, and community building to Oxford College," says Sterk. "With a passion to shape young people as lifelong learners, he is an ideal person to lead Oxford College in reaching its aspirations to graduate students who see the world through a broad lens." "I am delighted to be joining the Oxford College community, with its strong sense of place and educational mission. I am drawn to Oxford because it offers a unique and firm foundation in the liberal arts," Hicks says. "Through an intensive two-year experience, Oxford fosters students’ critical thinking and intellectual curiosity, preparing them to flourish in the rest of their time at Emory and their lives beyond. I look forward to collaborating with everyone in the Oxford community to provide the best education possible for our students." Hicks rose through the faculty ranks at the University of Richmond to serve as professor of leadership studies and religion before joining the Colgate faculty. In addition to teaching, he served as provost and dean of the faculty at Colgate from 2012 to 2015 and was a key architect of the university’s strategic plan, which included priorities of internationalization, technological innovation, civic engagement and pedagogical development. Hicks holds a PhD and MA in religion from Harvard and an MDiv from Duke. He was an exchange scholar in the Department of Religious Studies at Yale, and he began his academic career at Davidson College, earning an AB in economics. A comprehensive process, led by the search firm Heidrick and Struggles, identified a dynamic and experienced group of candidates for the Oxford College dean from a national pool, and a search advisory committee—chaired by Goizueta Business School Dean Erika James—helped narrow the field of candidates. Finalists met with Emory leaders and key constituents earlier this year.